Behind this project is the discovery of watercolours from the 19th century. Since the idea of revisiting them for a contemporary dining room appealed to the client, this exotic knick-knack was carried out with the collaboration of the prestigious Lesage firm for the manufacturing of embroidered panels. 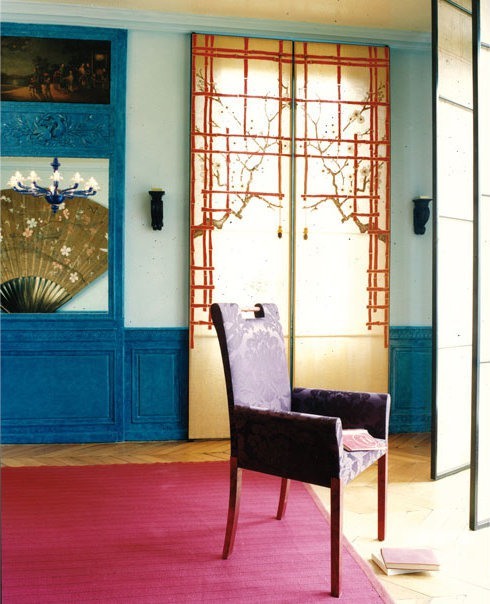 Silk, linen, rope, bamboo, amber... totally daring materials and colour range end up giving the place a very French atmosphere.